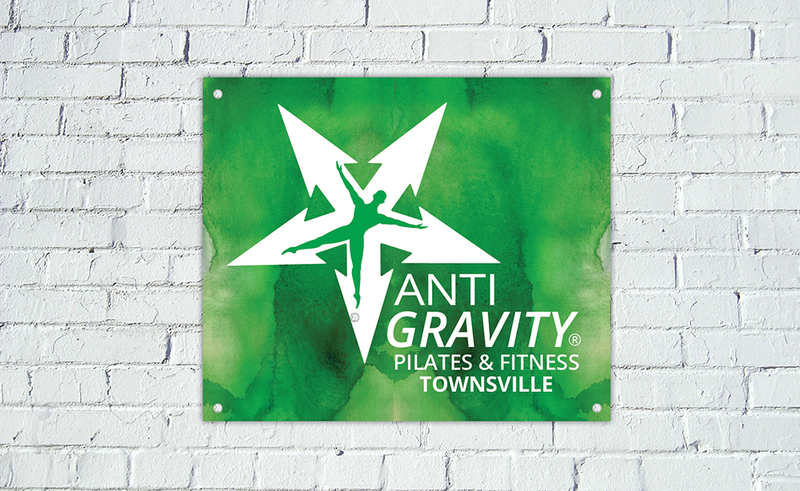 Rebecca Forde of Dragonfly Pilates & Movement has added another feather to her cap with AntiGravity Pilates & Fitness Townsville. 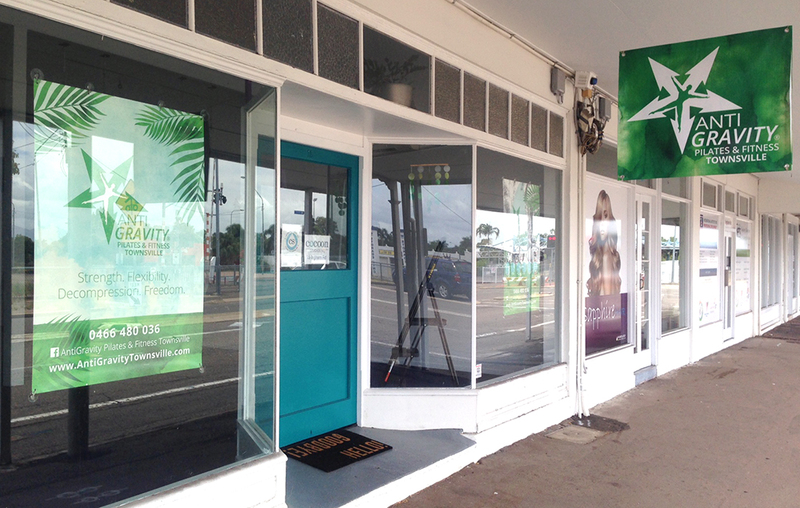 Opening the doors to Cocoon Studios mid 2016, this dynamic fitness business was required to maintain the registered logo graphic (Christopher Harrison’s star man) and make it unique! 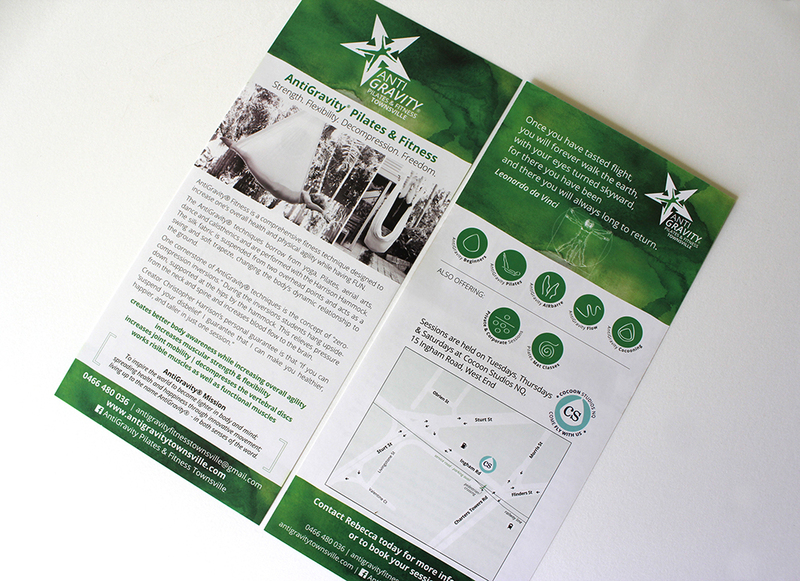 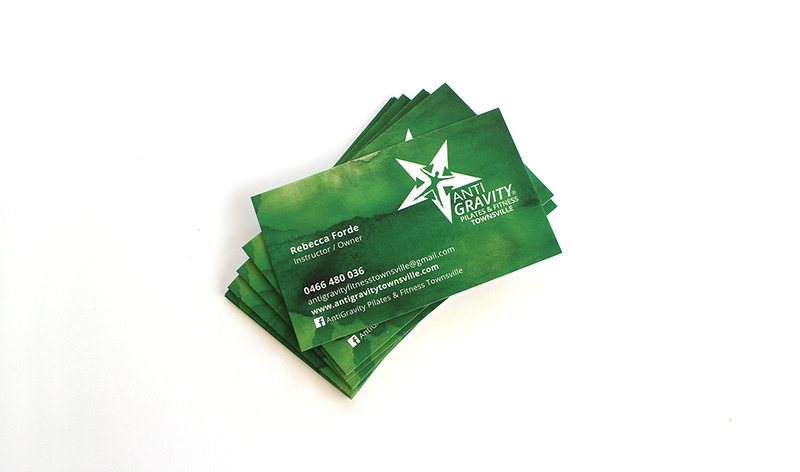 Green with black and white photos (supplied by client) was what Rebecca was wanting, with a contemporary, clean look. 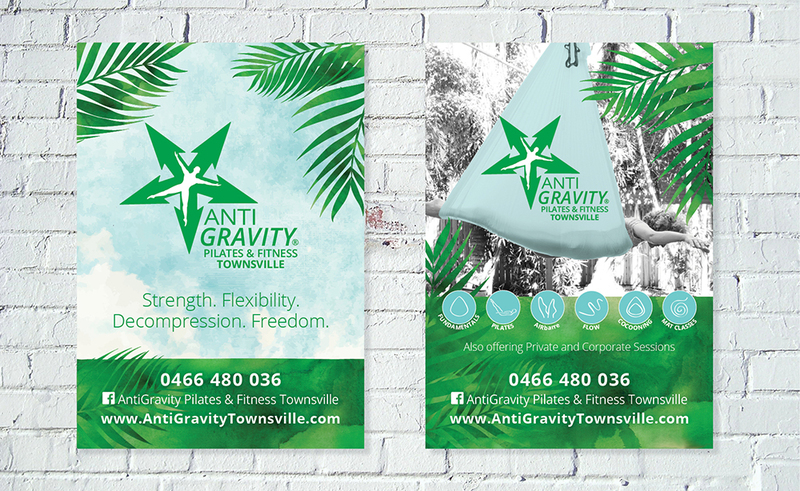 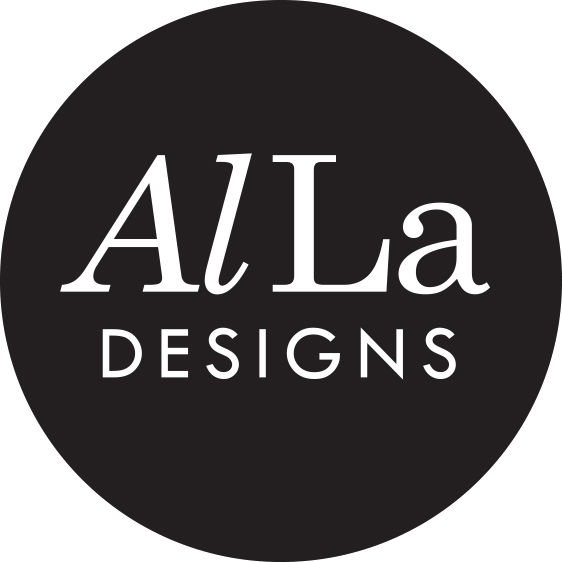 We designed the logo and graphics to represent each class/service provided, plus design and printing of business cards, a DL flyer and signage.